Should You Try to Install Foam Insulation Yourself in Your San Antonio, TX, Home? So, you’ve decided foam insulation is just what your San Antonio, Texas, home needs to increase energy efficiency and protect your home from outdoor elements. Terrific! 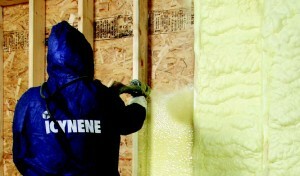 But if you’re also thinking you can install spray foam by yourself, you may wish to consider a few facts. It takes training and experience to understand how to work with the components that make up foam insulation. It can be a tricky process to mix and install a polyurethane spray foam that offers all the desirable features you want for you home, such as energy savings, cleaner air, and a potentially quieter home environment. For example, polyurethane spray foam insulation is the result of two different chemical mixtures that are combined in precise measurements at optimal temperatures. Mixing the two chemical components causes an intense thermal reaction which ultimately produces foam. Without a thorough understanding of the volatile nature of working with these chemicals, you could run the risk of ending up with a mixture that doesn’t harden, that degrades, or, worse still, you could end up with a combination of chemicals that can pose a fire hazard. If your installation requirements are close to a flame source, such as a water tank or furnace, you may would certainly benefit from calling a professional who has the equipment to take adequate safety precautions. Additionally, you need to wear personal, protective equipment when installing spray foam insulation. Protective gear can include safety glasses or goggles, full-coverage clothing, and heavy-duty gloves. The U.S. Environmental Protection Agency also recommends that do-it-yourselfers be careful of exposure to off-gasses that are common during installation and advises that exposure can lead to adverse health effects such as asthma. If respiratory problems are an issue, you may be better served contacting a professional for installation. If you need an expert to safely and effectively install foam insulation in your San Antonio, TX, home, contact the experienced professionals at 31-W Insulation today.